As reported here, Comesa adopted an IP Policy in 2013. 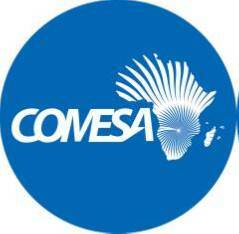 In addition Comesa has an IP Unit, committee and programme. It has been forging ahead in relation to IP matters and this post comments on two recent developments and their significance. First, in December 2016, COMESA signed a Memorandum of Agreement with ARIPO. The purpose of the MoU is described as follows:"The MoU will facilitate cooperation in the harmonisation of policies, laws and strategies to promote IP development for the benefit of all. Through this collaboration, there will be capacity building and awareness creation on the importance of the use of IP for economic development and promotion of innovation and creativity in the region." The import of this is that ARIPO is more closely aligning its activities with regional economic community (REC) activities and will therefore be integral to unfolding regional integration developments. This is a smart move because it allows ARIPO to spread its wings into policy and trade-related aspects of IP which it has, to date, not been focused upon. Second, in April 2017, Microsoft 4Afrika transferred full ownership and management of its IP Hub to COMESA (see full report in the e-Comesa newsletter). According to its online blurb, The IP Hub is intended to "as a portal of information on the various IP Authorities and IP landscape in the COMESA region". Such information would be an invaluable resource. These strides taken by COMESA will have a large continental footprint because of the COMESA-EAC-SADC Tripartite Free Trade Agreement (TFTA) which will sweep 26 African states into its fold. The agreement is yet to come into force as the requisite 14 ratifications have not been reached. However, as it stands, it excludes IP aspects which are expected to be included in the next phase of negotiations which are required to be completed within 24 months of the entry into force of the TFTA. When these negotiations open, COMESA, EAC and SADC will seek to advance the IP positions that they have taken in their sub-regional initiatives. Beyond this, the TFTA member states will be a major block in the proposed Continental FTA (CFTA) and ultimately, the African Economic Community which is intended to be in place by 2028. (see TRALAC "The relation between the Tripartite FTA and the Continental FTA") Therefore, the COMESA IP Policy and the recent developments noted above, will acquire an increased significance. Future posts will comment on the EAC and SADC's IP initiatives.